Without a retirement planning checklist or detailed plan in place, it is extremely difficult to feel confident about retiring. You can’t have confidence in something that doesn’t exist. 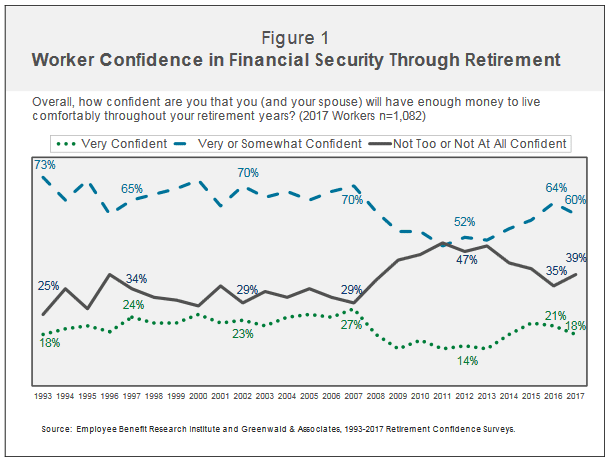 Did you know that only 18 percent of the American workforce feels very confident in their retirement plan? Want to change that? Read on to discover ways you can be more prepared for your future with our 7 point retirement planning checklist. We will also provide you with some valuable resources in each section to help you along in your retirement planning journey. The first step in our retirement planning checklist is to take a look at how much income you’ll have at your fingertips in retirement. Make a list of all your expected sources of retirement income and how much monthly revenue you expect from each source. Don’t forget to think outside the box! For your convenience, we have designed a Microsoft Excel Retirement Income Worksheet to help you estimate your monthly and annual income once you retire. Download this worksheet and keep the figures handy because you will need them in other worksheets in our checklist as you put your retirement plan together. What will your life during retirement look like? Will you be traveling more? Will you be spending parts of the year in different parts of the country? Will you be downsizing your home? It’s important to think about the aspects of your life that will be changing (drastically or otherwise) once you retire. Once you see the big picture of how you will be living, you can then figure out how much and on what you will be spending. Be as specific as possible when you outline your expenses. And of course, it’s always better to overestimate than to underestimate. Life is full of unexpected surprises, and along with those surprises often comes unexpected expenses. Prepare for the unexpected. As you put together your list of expenditures, be sure to include items such as your house payment or rent, utilities, maintenance expenditures, insurance, clothing, groceries, auto expenses, entertainment, healthcare expenditures, travel/vacations, gifts, hobbies, TAXES, charitable contributions, personal products, and any other expenses you can think of. For your convenience, we have designed a Microsoft Excel Retirement Budget Worksheet to help you estimate your monthly and annual expenses once you retire. Download the FREE budget worksheet to help you lay out your monthly expenditures and see how your retirement plan measures up. One of the biggest drains on your savings outlook can be paying off the things that you chose to finance over the years along with paying the interest associated with each item. Figure out now how you can pay off these debts as quickly as possible. The earlier you can pay off your debts, the more years you will have to save money. We have created an Excel template for you to use to help with debt reduction. 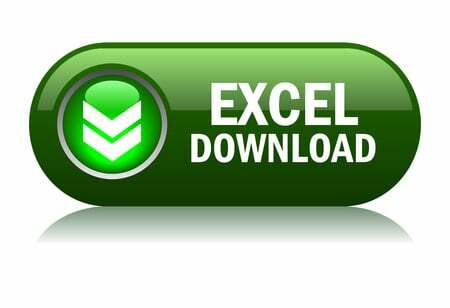 Download our Debt Reduction Worksheet using the green download button. Once you have downloaded the spreadsheet, enter all your outstanding loans in the Creditor column. Be sure to include your mortgage, car loans, credit cards, medical bills, student loans, and any other outstanding loans that you have. Enter the interest rate and monthly payment for each loan. Now enter your monthly debt reduction budget in the spreadsheet to calculate your surplus or shortfall as compared to your monthly payments. If you have a surplus, we recommend applying the additional money towards either the loan with the highest interest rate or the loan with the lowest balance. If you can knock out the loans with low balances, then the monthly payments that you were using for these loans can be applied to other loans. It can be quite rewarding to see the progress made towards reducing debt! There are lots of great free resources and advice online to help you get out of debt. The less debt you have, the more you can save, and the more prepared you’ll be for your retirement. Retirement is all about freedom: we’re all looking forward to the days when we can choose how to spend ALL of our time, not just the time after we clock out. The adage, “Time is money” is indeed true. Thus the next step is sketching out how much time you’ll dedicate to hobbies, spending time with family, traveling, volunteering for your favorite cause, and of course, possible ways to increase your income. Next on our retirement planning checklist is to map out your healthcare plan. Let’s be honest, healthcare has changed in the past several years, and it will continue to change. Healthcare is and will continue to be an expensive, necessary part of life. Even if you plan on using Medicare, be aware that only 62 percent of your healthcare expenses will be covered, on average. Prepare yourself by educating yourself on the various options. Do your research and figure out what type of healthcare coverage you’ll want to have for retirement. As stated previously, there are tons of resources and blogs that will aid in your decision as well as your strategy for your expenses, which will, of course, include your healthcare. Below we have compiled a handy list of resources to help you along in the decision-making process concerning your healthcare in retirement. What is Medicare Part D Drug Coverage? What is a retirement medical savings account? One possibility that no one likes to consider is long-term care, either at home, in an assisted-living facility, or nursing home care. There may be a point in your retirement that you are no longer able to care for yourself without the help of others. It is an uncomfortable topic. However, it’s vital to address because long-term care is another high expense that could be very real for many retirees. As you can see from the chart Adult Day Health Care, with an average cost of $1,473 per month, has an annual cost of $17,676. The annual cost for a private room at a nursing home care facility reaches a staggering $92,376 on average per year. The average median household income in 2015 was only $56,516! So that means the average working family in America would have to work almost two years to pay for one year in a private room in a nursing home care facility. How can one possibly afford that kind of long-term care? One possible way to pay for the rising costs of long-term care is a product called Asset-Based Long Term Care Insurance. The Pension Protection Act of 2006 paved the way for individuals to protect their retirement accounts from the exorbitant costs of long-term care. The PPA plans use an asset-based life insurance method that allows you to move money from an existing retirement account to an asset class that could generate up to nine times your money in tax-free benefits that pay for long-term care. These plans can help pay for licensed home caregivers, adult day care services, and skilled nursing facilities. If you end up not needing care, you can easily access your principal or leave it as a tax-free death benefit for your heirs. Unfortunately, Medicare does not cover long-term care stays such as assisted living or nursing homes. Medicaid might be able to help cover these costs of long-term care at some facilities. Keep in mind that not all nursing homes or assisted living facilities accept Medicaid as a form of payment. While Medicaid helps cover the cost of nursing home care, it only partially covers the cost of assisted living facilities. Using Medicaid for long-term care varies by state, so you’ll want to do your homework before you plan to rely on Medicaid to cover the costs of long-term care facilities. Medicare.gov is a great resource when researching how to pay for a long-term care facility. Genworth has built a wonderful tool to help you research the costs of long-term care by state or to compare locations. You can search costs by period – daily, monthly, or annually. You can also calculate the future costs of long-term care. Click on the image below to use Genworth’s long-term care cost tool. 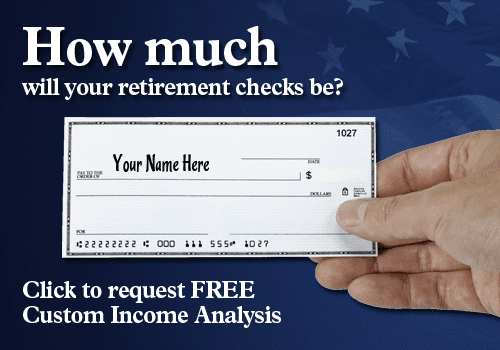 Retirement accounts – 401(k)s, IRAs, etc. Number seven on our retirement planning checklist is to consider purchasing a fixed index annuity. There are so many ways to provide income for your future, but not all of them need to be as risky as investing in the stock market or real estate. Consider the option of Fixed Index Annuities (FIAs) through Annuity Watch USA. Fixed index annuities offer growth potential while at the same time, principal protection. Your annuity has the opportunity to benefit from stock market gains, but your principal is protected from stock market losses. Therefore, you cannot lose money in the event of a stock market crash. Unlike 401(k)s and IRAs, FIAs have no limit on the amount of money that can be placed in them. FIAs accrue tax-deferred. Premiums paid into your FIA are allowed to grow tax-deferred until funds are withdrawn. FIAs offer a guaranteed lifetime income as well as an optional death benefit. There are multiple accumulation and distribution (payout) options depending on your options selected at the time of your annuity purchase. The payout rate is the #1 key to maximizing your retirement income potential. Inflation-protected annuities help mitigate the risk of your spending power being impacted not if, but when inflation rises. 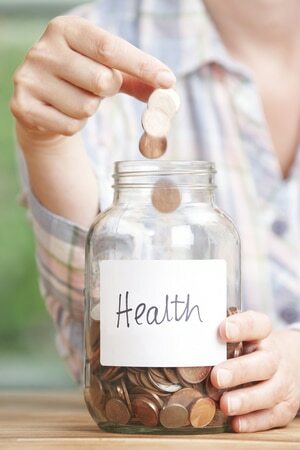 In the event of a financial emergency, a portion of your premiums may be withdrawn for a fee. Overall, FIAs can be a smart way to enjoy a steady paycheck for life. They are a great product to consider if you are looking for a retirement income strategy that protects your principal while at the same time, has upside potential. We suggest discussing your options with an annuity expert to see if an FIA would be a fit for your retirement plan. If there were one thing we would add to our retirement planning checklist, it would be to suggest that you meet with a retirement planning professional to explore your options. You don’t want to find out too late that your plan leaves you coming up short on money during retirement. 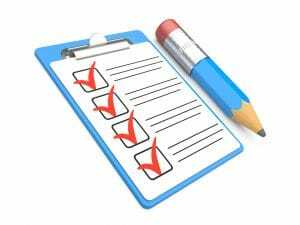 If you take away only one item from this checklist, it should be this: DO YOUR RESEARCH. The more information you have in regards to your specific financial needs for retirement, the better you can prepare for it. Develop your plan and get it down on paper. Then review, review, and review again. At least once a year, review your retirement plan to make sure you are on track to reach your goals. Modify your plan as required. Get help as needed. Retirement planning is not a one-and-done endeavor; you’ll want to keep it on the front burner. New strategies and investment opportunities pop up every day. You’ll want to keep your ear to the ground and be open-minded about new products that become available that could be a good fit to help you reach your objectives. We have a variety of tools available to help you put your plan together. 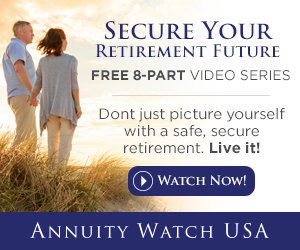 We have a free video series on fixed index annuities called, “Securing Your Retirement Future.” We have a retirement income plan analysis to help you see how your current plan measures up. We can help with 401(k) and pension rollovers, upgrades to your life insurance, comparing annuity rates, and many other related services. Keep in mind, at Annuity Watch USA, we are here to help. If there is anything we can do to help, please don’t hesitate to ask. We look forward to hearing from you soon!